​We know that some people are just passing through, some people don't know anything about the area, some just want to go hiking, and some people just aren't into the "club" thing. 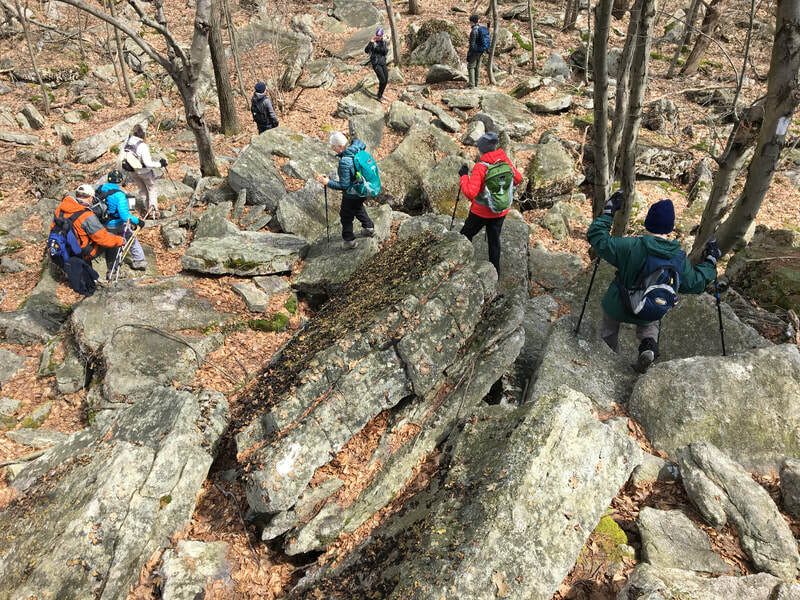 In any case, we welcome your participation in any of our group hikes, or other activities, that may lead to you becoming a member. This page is for you! Appalachian Trail – for information on hiking the AT visit the ATC web site; this site gives you access to an interactive map, trail updated, location of parking area, a distance calculator, trail guides and so much more. For specific information and/or questions on the 20-mile section maintained by SATC, contact the club. If you are interested in the history of the Appalachian Trail, visit the AT Museum which is in Pine Grove Furnace State Park. Go from a lazy riverside to scenic outcrops to a wooded ridge line on this 6.3-mile segment located in the State Game Lands of Central PA. This 9.7-mile SATC maintained section travels along the ridge of Peters Mountain and has two scenic outposts: Table Rock with the Ralph Kinter View and Shikellimy Overlook. 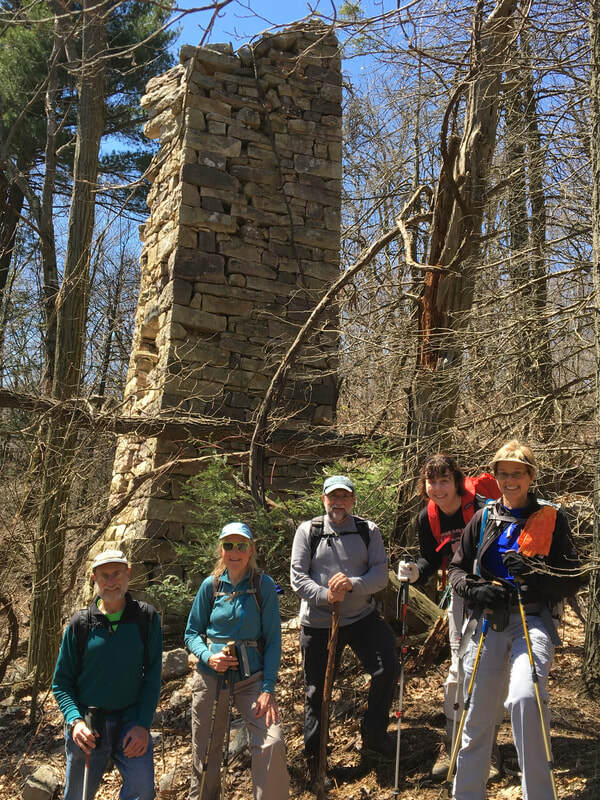 This 15.8-mile stretch ascends Stony Mountain from Clarks Creek then onto Sharp Mountain through Yellow Springs Village ghost town to Rausch Gap Shelter into Schuylkill County. This 20+mile necklace that rings Pennsylvania's Capital City, is designed to provide its visitors an opportunity to hike, ride bicycles, skate, jog, walk their dog, practice up on flora and fauna identification and generally appreciate nature. The trail has some of the most beautiful and enjoyable natural surroundings that the area has to offer. Tucked away in the rolling hills of Central PA, Wildwood Park (formerly Wildwood Lake Sanctuary) is conveniently located on the edge of Harrisburg, PA. Combine the Towpath and Wildwood Way trails for a 3.1-mile loop hike around the lake. There are endless opportunities for fun and adventure at Wildwood Park. Explore the Nature Center, walk the trails and boardwalks, ride your bike, pack a picnic lunch, watch the birds, check out the flowers and much more! There is fresh air and good times around every bend. Come and enjoy...it's fun and it's free! Straddling Peter's Mountain, the 370-acre Joseph E. Ibberson Conservation Area is dominated by large hardwood trees. This large block of nearly unbroken forest is a haven for wildlife like forest warblers and other deep-woods animals. A main attraction to the conservation area is the elaborate trail system. Located on the outskirts of historic Millersburg, the Ned Smith Center Lands and Trails encompass more than 500-acres of forest and meadow that stretch from the scenic Wiconisco Creek to the top of Berry's Mountain. The land includes a mature hardwood forest alive with deer, bear, wild turkey, grouse, fox, along with hundreds of species of songbirds, insects and reptiles. 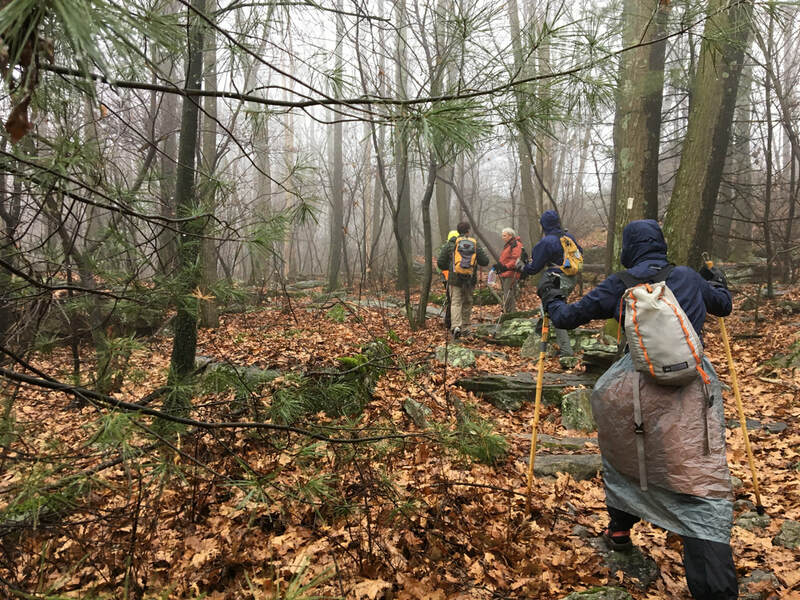 Originally a project of the Pennsylvania Alpine Club in the early 1900s, the Appalachian Trail was superimposed on much of the earlier Darlington route. Between 1998-2001, SATC relocated much of the Darlington Trail onto newly constructed footpath entirely within public land. The current orange-blazed 7.74-mile route of the Darlington Trail extends from Tower Road west of Marysville to the Appalachian Trail. Best access is from Lambs Gap Road and Millers Gap Road, both extending north from PA-944/Wertzville Rd west of I-81 exit 61 and east of I-81 exit 57. A 12-mile labyrinth of 8 trails combine for a variety of loop hikes that provide vistas over a beautiful valley and wander through many large second-growth trees and a chestnut plantation. Trails are well blazed and signed. The 1,025-acre Boyd Big Tree Preserve Conservation Area straddles Blue Mountain and along the ridge top, a tiny remnant of the east-shore Darlington Trail provides access to the Lower Paxton Township Hocker Park. Located in Hershey's largest park, it features a 1.63-mile loop nature trail that is in turn connected to the Jonathan Eshenour Trail. From Harrisburg, travel east on US-322 to the US-322 exit, at first traffic light turn right onto Bullfrog Valley Road, and turn right again immediately at the "Receiving Dock" sign for Penn State Hershey Medical Center. The 13-mile trail travels through a majority of the township and provides access to parks, neighborhoods, and commercial establishments. The trail presents an array of quality recreational opportunities. It's a wonderful avenue to exercise, experience nature, and enjoy friends and family. 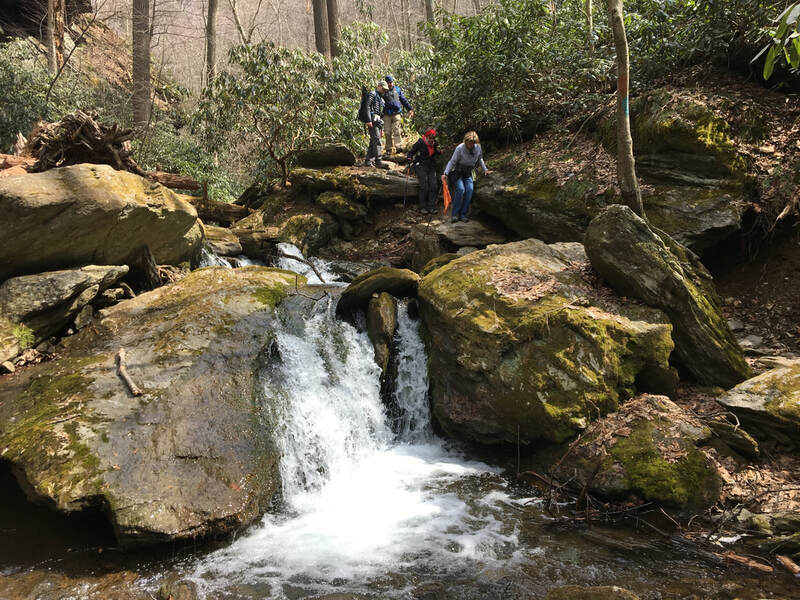 The Horse-Shoe Trail is a 140-mile hiking and equestrian trail that runs from Valley Forge National Historical Park in southeastern Pennsylvania to the Appalachian Trail in the mountains north of Hershey. 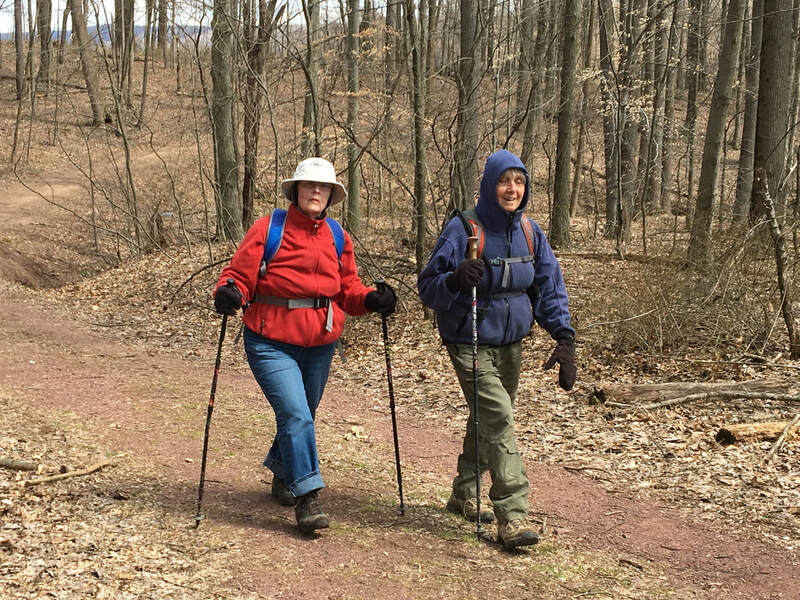 35 miles of the trail lie in Dauphin County. 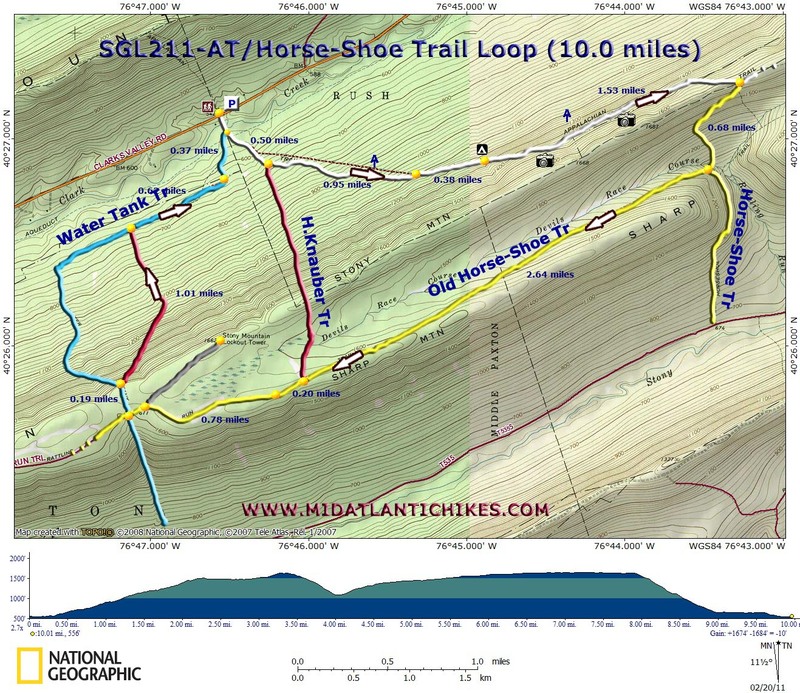 A map of a 10 mile Appalachian Trail-Horse Shoe Trail loop hike in State Game Land 211 is available. Stretching from Ellendale, Dauphin County, to Outwood, Schuylkill County, the Stony Valley Rail Trail traverses 19 miles of the former Schuylkill Susquehanna Railroad in State Game Lands 211, known as St. Anthony's Wilderness. It winds through the ghost towns of Water Tank, Rattling Run, Yellow Spring, Cold Spring, Rausch Gap, and Gold Mine, while passing alongside the waters of Stony Creek on its western end and the Evening Branch of Fishing Creek on its eastern end. The trail is nearly flat and leads you into a mature oak, hickory and tulip poplar forest with animal life including deer, bobcats, foxes and coyotes. Located one mile from Fort Hunter Park, this 150-acre conservancy can be used for day hiking only. This tract is part of the old 1,500 acre Fort Hunter estate and was the furthest from the mansion. It was known historically as the Chuckey Hill Farm. This 5-mile trail, formerly the Cornwall-Lebanon rail line, follows the Conewago Creek through scenic farmlands and woodlands in Lancaster County. From the Conewago Recreation Trail terminus at the Lebanon/Lancaster County line, this trail continues 14.5 miles to a new trailhead near the Lebanon Daily News building, between S. 8th and S. 9th Streets. a 140-mile hiking and equestrian trail, follows the southern ridges below the lake. This trail is about 1.25 miles encompassing forest, farmland and three locks of the historic Union Canal. The Union Canal operated in the 1800s as a waterway transportation through the Lebanon Valley. The scenic loop runs along pasture, wooded areas, the canal and farmland. Stretches 61 miles through Lancaster County. About 16 miles north of Lancaster City, the trail begins in the Furnace Hills, where it intersects the Horse-Shoe Trail. Then it winds its way south along various creeks through central Lancaster and County Central Park. 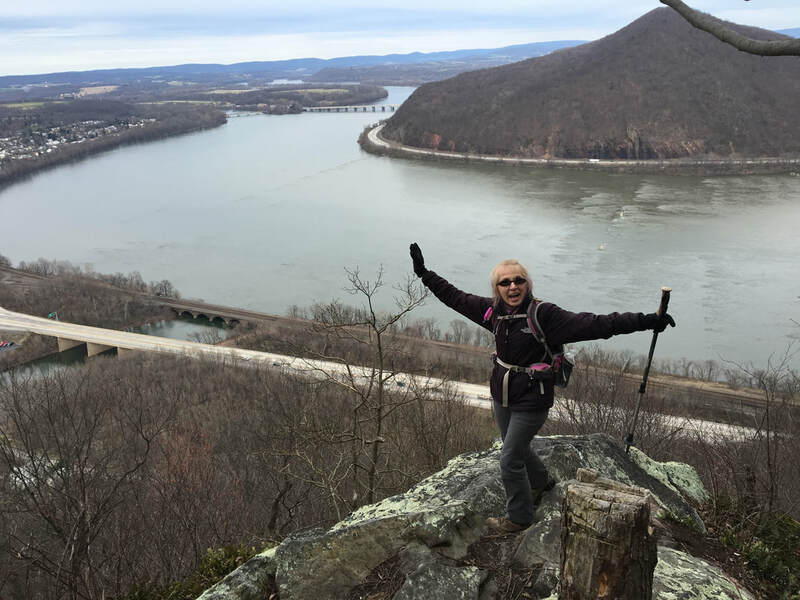 From there it turns southwest to pass through the scenic and rather challenging river hills before crossing the Susquehanna River to reach the Mason Dixon Trail. The Mason-Dixon Trail connects the Appalachian Trail with the Brandywine Trail. 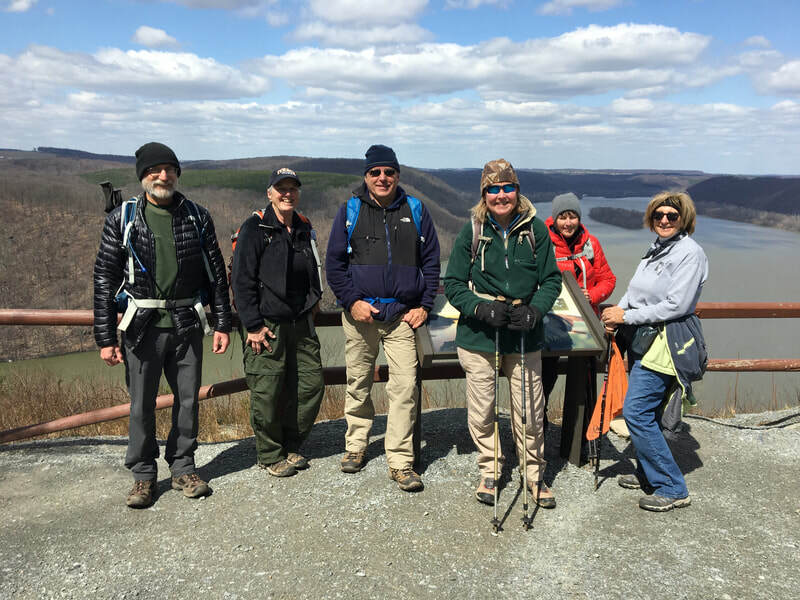 This 196 mile long trail starts at Whiskey Springs on the Appalachian Trail, in Cumberland County, PA and heads east towards the Susquehanna River, passing through Pinchot State Park en route. The trail then follows the west bank of the Susquehanna River south to Havre de Grace in Maryland. Across the river, the M-DT continues east, passes through Elk Neck State Forest, then on to Iron Hill Park in Delaware, north along the Christina River and White Clay Creek to the White Clay Creek Preserve. The trail then heads northeast to its eastern terminus at Chadds Ford, PA on the banks of the Brandywine River. The Kelley's Run-Pinnacle Trail System consists of 6 miles of loop trails leading to a scenic vista that overlooks the Susquehanna River. The Urey Overlook Trail leads to another spectacular vista. Located just north of Pequea along the Susquehanna River in southern Lancaster County, the 50-acre glen surrounds Grubb Run off of Green Hill Road. The main wildflower trail is approximately 1-mile long and follows Grubb Run along an easy walking path on fairly flat terrain. All trails in the park are marked with a brown post designating the trail for biking, horseback riding, or foot travel only. As the Board and Trail Committee monitor the trails for ecological impact these designations may change. The trailhead posts also give the trail number, the painted blaze color and shape (red diamond), and the degree of difficulty. For the hiking enthusiast that wants a true challenge, the Department of Conservation and Natural Resources Bureau of Forestry has teamed up with Keystone Trails Association in recognizing any hiker who completes the entire 798 miles of the State Forest Hiking Trail system with the coveted State Forest Trails Award. 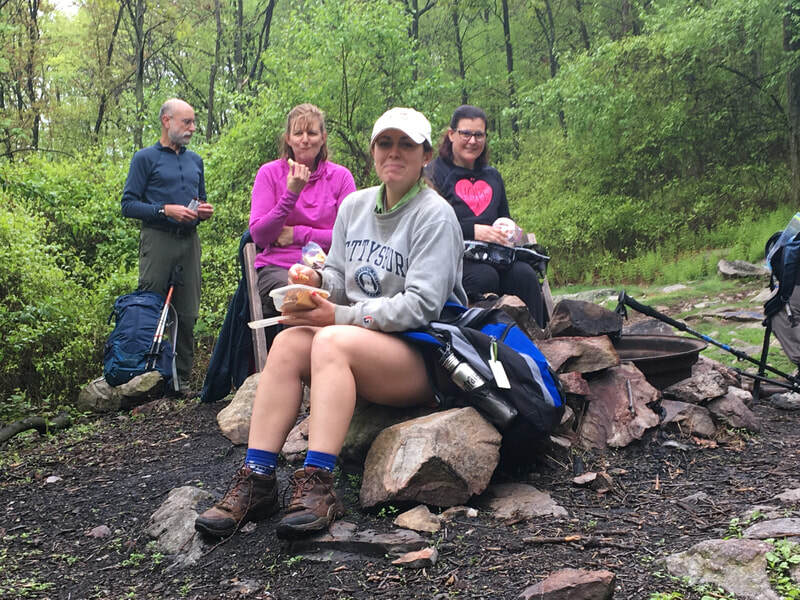 1.3-miles long, blue blazed, offering very limited parking at the Kuhn Road trailhead, but also giving generations of local children and new residents a satisfying sample of the rocks and views characteristic of Pennsylvania's mountain footpaths. Perhaps the highlight of the Standing Stone Trail is the Thousand Steps (actually there are almost 1,100). Located in Jack's Narrows near Mount Union, the steps were built in the 1930s by quarry workers who cut away a large slice out of Jack's Mountain, while quarrying the ganister stone used to make silica bricks. SATC organized the hiking program for the 2001 Biennial Meeting of the Appalachian Trail Conservancy held at Shippensburg University. The hike information compiled included data covering 75 different hikes on the A.T. from Waverton, MD to Swatara Gap, Lebanon County; the Tuscarora Trail from the Carlisle area to the MD line; and highlights of many other trails between the Susquehanna and Potomac Rivers, including the Link (now know as the Standing Stone Trail) and even one on the Mid-State Trail. Bear in mind the directions were current as of summer 2001 and the roads, exit numbers, and trails may have changed since then. Get a book and a map and scout the area before you lead a hike. Contact SATC if you have any questions.